With an eye at the next day of the political scene, SYRIZA and Alexis Tsipras take on a leading role, with the dominant dividing line being defined by the dipole of the progressive – Left coalition against the rise of far-right populism and neoliberalism. Interventions and developments in recent years make it clear that the left-wing party’s strategy in Greece is largely about achieving a coalition and alliance of the political forces and personalities of the center-left and the wider progressive space. An alliance that can not be ruled out in the context of the formation of a new party, based on SYRIZA, which will attempt to express the vast majority of progressive, leftist and social democrats. Yesterday after the event, organized by Dimitris Papadimoulis, Vice-President of the European Parliament, entitled “Progressive alliance for a democratic and social Europe – No toneo-liberalism and the right-wing regression – The challenge of the European elections”, the Greek prime minister and president of SYRIZA announced that the aim of the co-operation of these forces will be imprinted on the party’s Euro-ballots. It is well known that since the previous year at European level, initiatives have been taken jointly by the left-wing forces, the socialists – who are moving away from neoliberalism – and the Greens through the Progressive Caucus. An effort which, however, failed to be expressed by a common run or even a joint proposal for the presidency of the commission. Our interlocutors express the belief that the conditions of a joint strife will be shaped in the face of the critical issues of the new European Parliament recommendation, particularly with the worrying rise of the far-right. 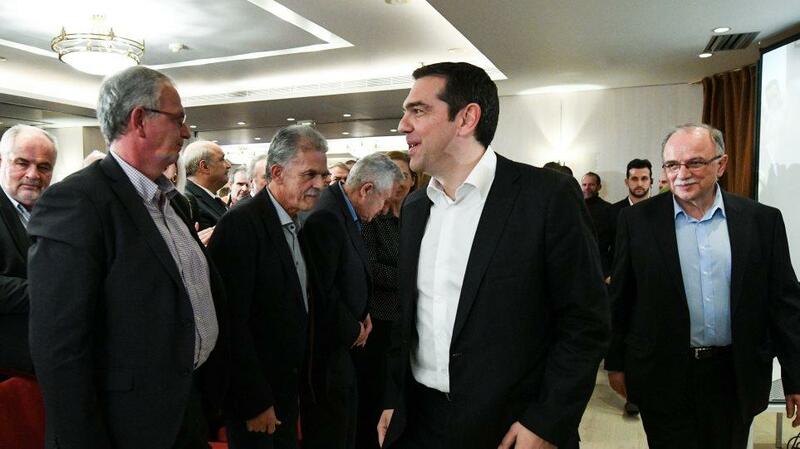 Regarding Greece, in SYRIZA and the government, they believe that the formation of a new political and ideological bipolarity will be expressed by SYRIZA on the one hand and New Democracy on the other. They also stress that the Prespa Agreement has served as a catalyst for mobility within the political system, releasing forces.